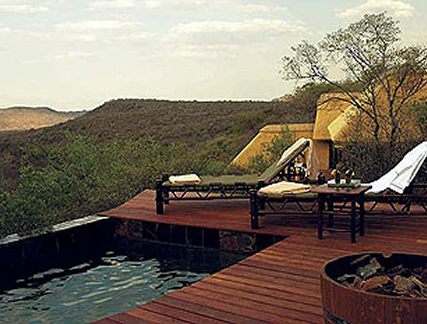 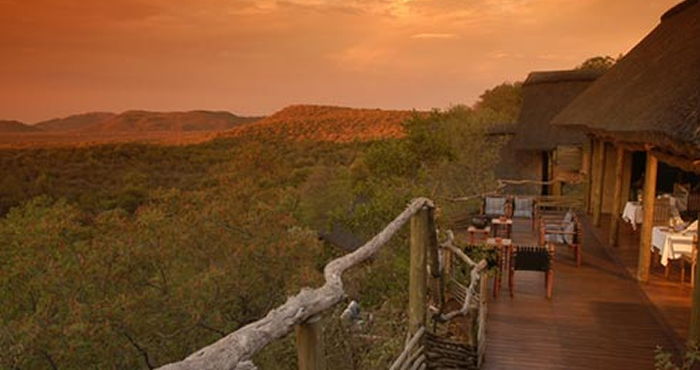 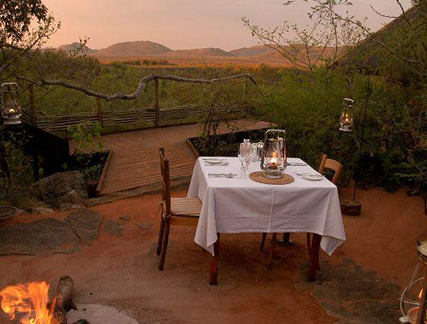 LOCATION Madikwe Game Reserve is situated in the North West Province and is bordered by Botswana in the North West. 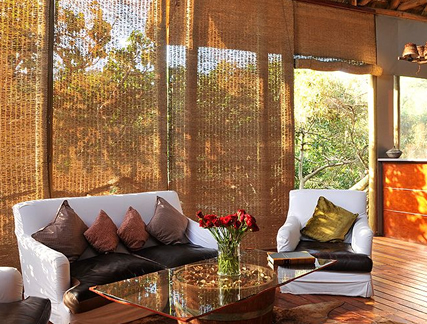 ACCOMMODATION The lodge has 8 suites, each with its own viewing deck, decorated in natural hues of colour and texture, offering a very private and luxurious experience. 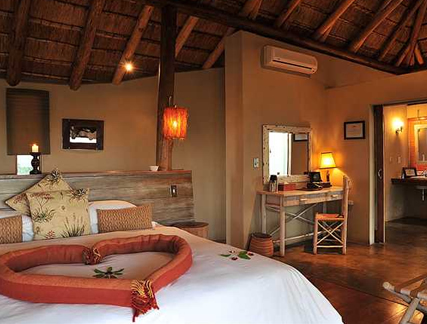 The thatched suites, with sliding doors from each room and shower, allow the guest to experience a oneness with the bushveld. 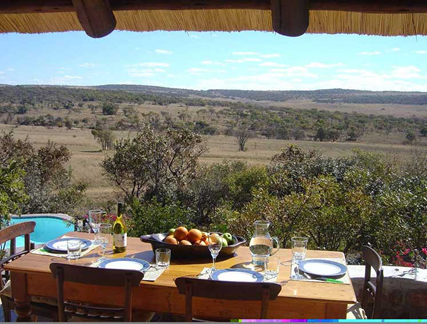 CHILDREN Children of all ages are welcome at the lodge, Children under the age of 3 are free of charge, ages 3 – 12 are charged at 50% of the adult rate when sharing their parents suite; special “Bumble” game drives apply to children 5 years old and younger.